Prior to moving to the farm, Annie Baggett had a dream that the front field was full of purple blooms. That dream is now a reality where Annie, her husband Dale and daughters Abigail and Sylvie have lived and tended the farm since 2000. 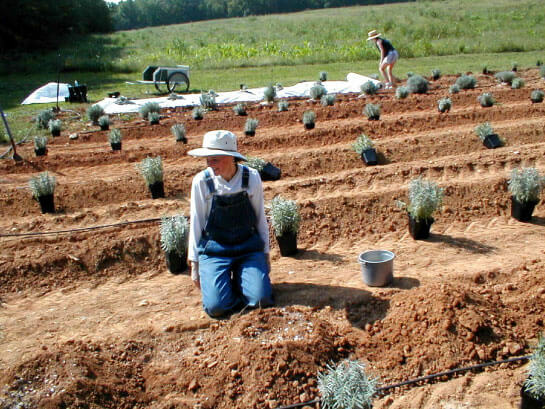 On land formerly cultivated by neighboring Latta Dairy Farm, many varieties of lavender now grow and bloom in that field of dreams — the first farm of its kind in North Carolina. 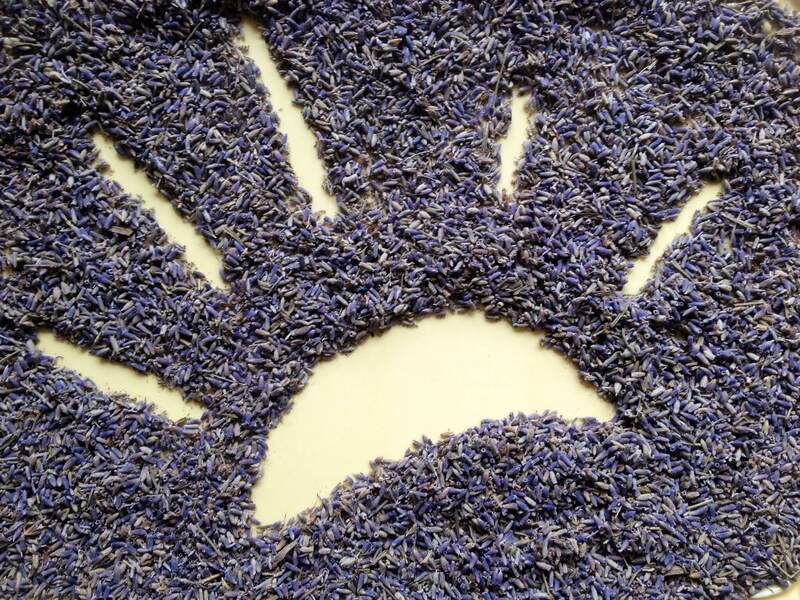 sunshine lavender farm, its annual Celebrations on the farm and its line of natural products for body, garden, gifts, home and weddings are tightly woven and truly a part of the local community. Our farm is made possible with the ongoing support of our family, friends and you, those who have joined us in this lavender adventure. Supporting the local economy is important to us. The Lavender Harvest Celebration began as an opportunity for the farm to raise enough revenue to invest in our field harvesters by paying them a living wage. We hire local workers to harvest our crop and help produce our value-added products. We are mindful that individuals of all abilities are capable of hard work when we match their great skills to the farm task. We sell our farm-fresh lavender items at area special events and on our website to promote our unique farm and the benefits of agriculture. Our line of products is crafted by hand on the farm or with community partners. Base ingredients and materials are purchased locally whenever possible. When folks visit our farm during the Celebrations, from near and far away, we recognize the boost that area shops, restaurants and historic sites may feel. In short, we strive to keep the dollars local and contribute heartily to our rural community’s vibrancy. 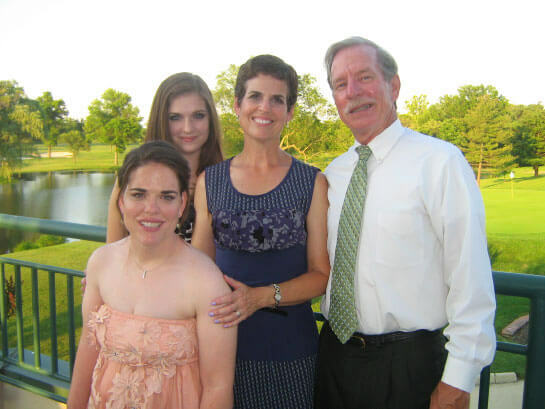 We are Dale & Annie Baggett, with our daughters, Abigail & Sylvie. 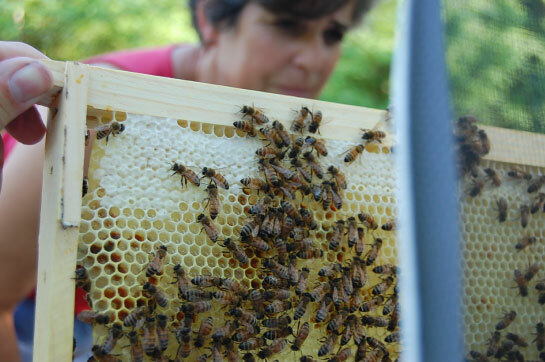 The farm began in 2000 and the girls were raised on sunshine lavender farm, our residence. When there are plants and animals to care for, you tend to develop a solid work ethic. From weeding, harvesting and producing our line of products, our family works hard and enjoys this farm that we call home with commitment and passion. As is the case with many farms in the United States, both Annie and Dale are employed full time away from the farm. FARMING IS A WAY OF LIFE It’s 24/7. ‘nough said. The soil, the birds, and the bees! This is a small farm. Small and mighty. Our strength is recognizing that each of us can make a positive difference in our community. We tend our lavender field made up of about a dozen different lavender varieties, from white to pink to all shades of purple. Using natural practices is important to us. 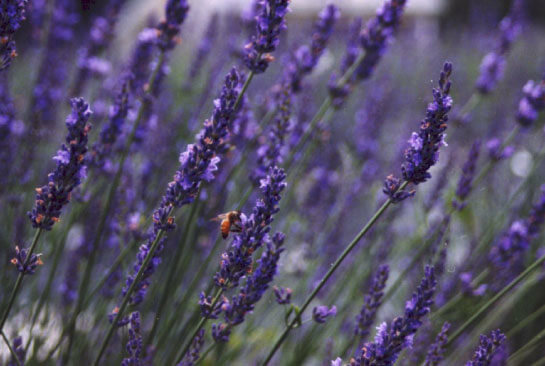 The abundance of bees, butterflies and praying mantis in our lavender is proof that we are helping the environment. We do not use artificial fertilizers, pesticides or herbicides in our field. The work is done by hand — planting, mulching, weeding, harvesting, pruning and amending. The work can be hard on the back, and always oh, so fragrant!